Who makes the best electric start self propelled lawn mower? An electric-start self-propelled lawn mower lets you enjoy yard work without breaking a sweat. It’s an effective and convenient tool for every homeowner. However, there are so many models available on the market, each of which has its own disadvantages and advantages. We have experienced and researched a lot of models to pick the 5 best electric start self propelled lawn mowers. First, you need to know what the electric-start function and the self-propelled function are. Self-propelled lawn mowers can move forward on its own thanks to a drive system transmitting power from an engine to the lawn mower’s wheels. You don’t have to push the lawn mower hence it saves a lot of your effort when doing your yard work. When it comes to lawn mowers, you usually have to pull a ripcord several times to start the machine. But if a lawn mower has electric start mechanism, you just have to push a button or turn a key to start the mower – much easier than before. 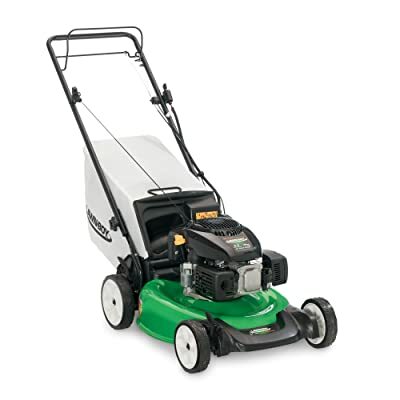 Lawn-Boy 17734 is a gas-powered electric start self-propelled lawn mower. Gas lawn mowers tend to have more power than battery-powered lawn mowers, thus operating more smooth – they move faster, don’t get clogged, and can cut a higher height of grass. Lawn-Boy 17734 has Kohler XTX 149cc OHV Engine as its power source. The engine has a medium level of power and requires just a little maintenance – you don’t have to change the oil regularly. The 21-inch dome deck is made of steel, but it’s still lightweight. 21 inches is a common cutting width of a lawn mower. You can adjust the cutting height to 2 levels for different needs. The lawn mower has 3-in-1 discharge ability that you can choose between mulching, bagging or side discharging. A larger bag makes it more convenient for large yards. The rear-wheel-drive mechanism on Lawn-Boy 17734 helps it move easily on uneven grounds. And Lawn-Boy Engineered Tri-Cut System has been proved to have exceptional quality of cut. Lawn-Boy 17734 is an affordable and lightweight lawn mower that can be used for light to medium lawn mowing tasks. Husqvarna LC221FH uses the gas-powered 163cc Briggs & Stratton engine as the power source. Briggs & Stratton engine has been always well-known for its lightness and easy maintenance. The engine provides a medium level of consistent power, which is suitable for medium yards. Husqvarna LC221FH has the same cutting width as Lawn-Boy 17734, however as an advantage, two more height levels. This allows Husqvarna LC221FH to mow the grass at more different levels of height, thus be able to cut wet and thick grass. As most of decent lawn mowers have 3-In-1 discharge ability, Husqvarna LC221FH has this feature too. You can choose between mulching, bagging or side discharging. In contrast to the Lawn-Boy 17734 wheel-drive mechanism, Husqvarna LC221FH has a front-wheel drive mechanism that saves energy. In addition, it has higher rear wheels to boost control and maneuverability. However, it’s also a drawback when having a front-while drive system when it’s harder to move the mower on uneven ground. Another drawback of Husqvarna LC221FH is that sometimes it gets clogged when trying to mulch wet and thick grass. 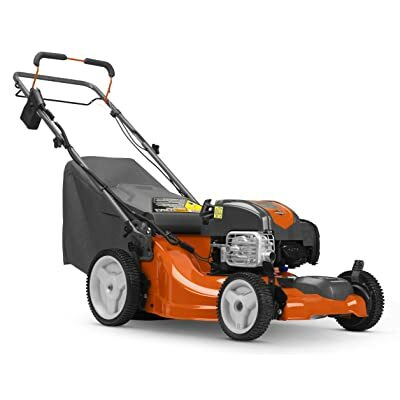 Husqvarna LC221FH is an energy-saving and light lawn mower for medium yards. 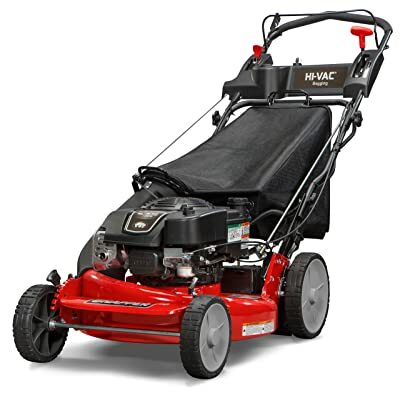 HRR216VKA is an excellent mower from Honda. It’s not only about the variable speed ability that lets the mower move faster or slower by a push of your hand. It’s also the self-charging function which means you’ll never need to plug in, the 6 cutting height settings which give you the ability to mow at more different levels of height, and the higher maximum cutting height which allows you to mow taller grass. 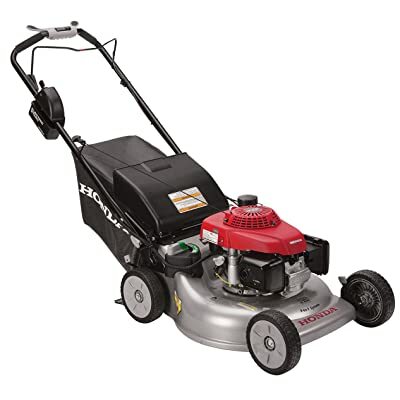 Despite being an electric-start mower, Honda HRR216VKA has a pull cord to recharge the battery for electric-start function as well as variable speed function. Honda’s patented Twin Blade MicroCut System is two 3-in-1 blades that provide a very high quality of cuts in three styles – bagging, discharging, and mulching. Honda HRR216VKA use GCV160 engine as the power plant. So the mower is suitable for medium yards with a medium thickness of grass. Honda’s engines are well-known for their resilience and long lifespan. However, because there’s a small gap between the engine and deck, Honda HRR216VKA often kicks up leaves and grass. You might want to wear protective clothing. Honda HRR216VKA is a smart lawn mower that makes your yard work much easier than ever. Gas engines can be harmful to you and the environment as they emit toxic gas (CO). Poulan Pro 967044401 with an electric engine can solve this. It uses two 40-volt batteries as the power source, and an automatic switchover for immediately pulling power from the second battery when the first battery runs out, making sure no downtime. The electric motor also makes less noise than a typical gas motor while operating. 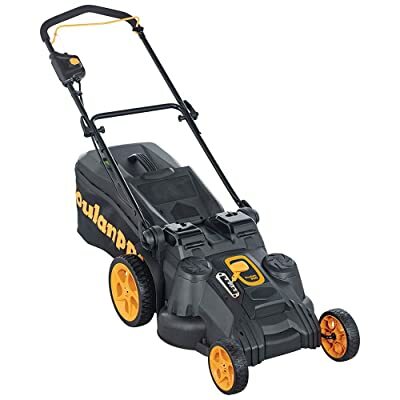 However, in return, Poulan Pro 967044401 lacks the full power when compared to three gas mowers above, so it is only suitable for small to medium yard. Some good features on the mower are The front-wheel drive system that saves energy and The fold-down handle for easier storage. Poulan Pro 967044401 has a smaller cutting width – 20 inches – than three mowers above, however, this isn’t a significant difference. It only has a single height setting, and only 2-in-1 cutting styles – mulching and rear bagging. These can be considered as big disadvantages of the Poulan Pro 967044401. Poulan Pro 967044401 is an environment-friendly and quiet lawn mower that’s suitable for small to medium yard. Snapper P2185020E has a 190cc Briggs & Stratton engine that provides a massive amount of power. This mower can handle large yards, uneven yards, and hills well. The rear-drive system and two big rear wheels add more mobility on rough terrain. Snapper P2185020E has a Hi VAC deck that generates a large volume of air and creates suction for a cleaner finish. The mower has 21 inches of cutting width and 7 settings of cutting height. You can easily adjust the height by using a single lever. Snapper P2185020E’s other great features are Variable Speed Control, Adjustable Handlebar, and 3-in-1 Discharge Capability, etc. Snapper P2185020E is a great lawn mower for large yards with thick and tall grass. There are two common types of electric-start self-propelled lawn mowers, which are gas-powered mowers and battery-powered mowers. The battery-powered is environment-friendly and quiet compared to the gas-powered. In return, the gas-powered is much more powerful than the battery-powered. If you have a small yard, a battery-powered lawn mower would be a great choice. If you want to handle a bigger yard with thick and tall grass, a gas-powered lawn mower would be better. Lawn-Boy is an American manufacturer of lawn mowers. With more than 100 years of experience, Lawn-Boy is now making some of the best electric-start self-propelled lawn mowers that are not only high-quality but also budget-friendly and durable. Lawn-Boy mowers are great choices for homeowners. Husqvarna was founded in 1689 as a weapons factory of the Swedish king. Now they are well-known for its pioneering as a motorcycle manufacturer since 1903. Besides motorbikes, Husqvarna manufactures a diverse range of motor equipment, including lawnmowers, trimmers, snow blowers, pressure washers, saws, etc. Husqvarna is a great brand for those want reliable and energy-saving lawnmowers. Another famous motorbike brand – one of the national brands of Japan. Honda engines are always well-known for their durability and consistency. If you are about to buy a new lawn mower that should be last for decades, Honda’s mowers are the choices. Can you just push a self propelled lawn mower? Yes, you can. It won’t do damage on your self-propelled lawn mower. However, it would be very difficult when the drive is engaged as you’ll have to push all the drive system. If your lawn mower is too slow, you should have your lawn mower checked. Or you might want to buy a rear-drive lawn mower with a bigger engine that can handle your tasks. Are self propelled mowers heavier? Logically, a self-propelled mower has a drive system that a push mower doesn’t. So, yes. A self-propelled mower is heavier than a push mower. Can a self propelled mower go backwards? A typical self-propelled only goes forward. It cannot go backwards by itself. If you want to do so, you need to pull the mower by yourself. What is the difference between rear and front self propelled lawn mowers? Front-Wheel Drive Mowers can change direction more easily and save more energy than Rear-Wheel Drive Mowers. In return, Rear-Wheel Drive Mowers have more traction that’s ideal for uneven grounds, hills, and slopes. How fast is a self propelled mower? Self-propelled mowers can move up to 3 – 5 MPH. They won’t move faster so that the can mow the grass effectively. Can you convert a pull start to electric? Yes, you can. If your engine supports this kind of task, you’ll need a kit to do it yourself. If your engine doesn’t support this kind of task, you can have an electrician do it for you. Above are my full review of the best electric start self propelled lawn mowers. Hope the information in this article will help you find the suitable lawn mower!